Oftentimes, people cannot walk, jog, or run anymore due to pain and/or injuries, but with correct re-education of proper mechanics you can get out of pain and successfully run again. Proper mechanics is the piece to the puzzle that all the “How To” boilerplate fitness magazine running articles and fitness books have been missing. This is key to optimal performance, injury free running. And, you’ll also be more efficient which will have you burning the most fat and be able to experience the pure joy of walking outside. You need to begin with proper walking/running biomechanics before you even attempt to design a routine! Essentially, we start walking then, running when we’re between 1 to 2 years old by leaning forward then, attempting to keep ourselves from falling forward primarily by pushing or using our quadriceps and calf muscles when we walk and/or run. (We don’t really change much from that as adults). 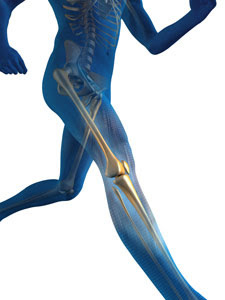 This creates the wrong walking and running mechanics as we are not using our big powerful hamstrings and gluteal muscles, or lifting our legs with our hip flexor muscles. Most people do not sufficiently engage the hamstring and gluteals when they walk or run, because they do not get into the proper position to enhance the efficacy of those muscles. This leads to two big problems: (1) People don’t learn the correct walking and running mechanics and, (2) They assume they did learn the right biomechanics. *Think about this: People take golfing, tennis, and private training lesions, but they never think about taking running lessons--because they assume they know how! This leads to people walking, jogging, and running incorrectly then, as a result, getting hurt. Key Points to review: (1) Proper Arm Mechanics. (2) Break in stride cadence or a pause, which occurs and interrupts every stride. (3) Drills to generate horizontal velocity strengthening the muscles around the ankle, knee, and hip joint to create proper mechanics. Proper mechanics must focus on flexion and extension. The progression is: (1) Learn the sequence of when muscles should fire, develop range of motion, (2) Strengthen those muscles that relate to how to the joint functions, and (3) Increase frequency without compromising the sequence. (Otherwise speed is retarded and the potential for injury is increased significantly. Because speed is stride length x stride frequency, always work on one or the other of those functions to achieve peak gait form). Here are four simple steps to keep you stepping in good form optimally and injury free. Head, shoulders and chest: Keep your head up and centered between your shoulders. Focus your eyes straight ahead. Keep your shoulders back and down. Your chest should be naturally lifted, as if there were a string attached to the center that gently pulls it upwards. Always try to maintain this neutral spine optimal posture. Arms and hands: Your arms should be bent at 90 degrees. Swing them back and forth—not side-to-side—and keep them close to your body. Keep your hands loosely cupped as if you are holding a butterfly that you don’t want to escape but you don’t want to crush either. Core: Pull your belly button gently in toward your spine and tuck your pelvis forward and maintain a continuous, soft Kegel ever so slightly, so you feel tall, stable and upright, (or remember to always keep my Crunchless Abs Set Up). Hips, thighs and feet: Power your movements from your hips rather than your thighs, but keep your hips loose and natural. Take short, fast strides that still feel natural rather than awkward. Land firmly on your heels and roll smoothly to push off with your toes. Think of planting your heel and then "pushing the ground away from you" as you roll through your foot. For more inspiration to help you get fit and lose weight, join my FREE Make Healthy A Lifestyle digital magazine at www.LindaLaRue.com today!